G.R. No. L-23678 June 6, 1967 - MARIA CRISTINA BELLIS, ET AL. v. EDWARD A. BELLIS, ET AL. G.R. Nos. L-22580 & L-22950 June 6, 1967 - ALLIED WORKERS’ ASSOCIATION OF THE PHILIPPINES v. COURT OF INDUSTRIAL RELATIONS, ET AL. G.R. No. L-19550 June 19, 1967 - HARRY S. STONEHlLL, ET AL. v. JOSE W. DIOKNO, ET AL. G.R. No. L-22272 June 26, 1967 - ANTONIA MARANAN v. PASCUAL PEREZ, ET AL. A.C. No. 661 June 26, 1967 - IN RE: FERNANDO E. RICAFORT v. JOSE G. BALTAZAR, JR.
G.R. No. 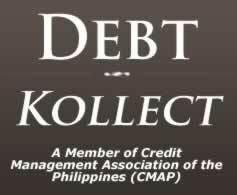 L-20068 June 26, 1967 - EDGARDO O. ALZATE v. PHILIPPINE NATIONAL BANK, ET AL. G.R. No. 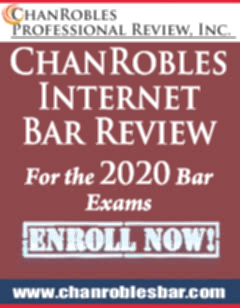 L-21109 June 26, 1967 - NATIONAL SHIPYARDS & STEEL CORPORATION v. CARIDAD J. TORRENTO, ET AL. G.R. No. L-22979 June 26, 1967 - RHEEM OF THE PHILIPPINES, INC., ET AL. v. ZOILO R. FERRER, ET AL. G.R. No. 20478 June 29, 1967 - IN RE: NEMESIO HUANG v. REPUBLIC OF THE PHIL. G.R. No. L-20530 June 29, 1967 - MANILA SURETY & FIDELITY COMPANY, INC. v. TRINIDAD TEODORO, ET AL. G.R. No. L-21511 June 29, 1967 - GERTRUDES CARLOS v. OVERSEAS FACTORS, INC., ET AL. G.R. No. L-21533 June 29, 1967 - HERMOGENES MARAMBA v. NIEVES DE LOZANO, ET AL. G.R. No. L-21627 June 29, 1967 - PEOPLE’S SURETY & INSURANCE COMPANY, INC. v. COURT OF APPEALS, ET AL. G.R. Nos. L-21633-34 June 29, 1967 - COMMISSIONER OF INTERNAL REVENUE, ET AL. v. BOTELHO SHIPPING CORPORATION, ET AL. G.R. No. L-22995 June 29, 1967 - WILLIAM ADDENBROOK Y BARKER v. PEOPLE OF THE PHIL. G.R. No. L-25860 June 29, 1967 - FERNANDO T. BERNAD, ET AL. v. ALFREDO CATOLICO, ET AL. G.R. No. L-18901 June 30, 1967 - KABANKALAN SUGAR COMPANY, INC., ET AL. v. COURT OF INDUSTRIAL RELATIONS, ET AL. G.R. No. L-20119 June 30, 1967 - CENTRAL BANK OF THE PHILIPPINES v. JESUS P. MORFE, ET AL. G.R. No. L-20024 June 30, 1967 - EMBROIDERY AND APPAREL CONTROL and INSPECTION BOARD, ET AL. v. GAUDENCIO CLORIBEL, ET AL. G.R. No. L-20333 June 30, 1967 - EMILIANO ACUÑA v. BATAC PRODUCERS COOPERATIVE MARKETING ASSOCIATION, INC., ET AL. G.R. No. L-20047 June 30, 1967 - PETRA HAWPIA v. COURT OF APPEALS, ET AL. G.R. No. L-21469 June 30, 1967 - PEOPLE OF THE PHIL. v. MELCHOR TIVIDAD, ET AL. G.R. No. 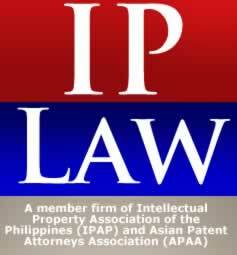 L-21780 June 30, 1967 - MAKATI DEVELOPMENT CORPORATION v. EMPIRE INSURANCE CO., ET AL. G.R. No. L-22710 June 30, 1967 - DOMINGO BAUTISTA v. COURT OF APPEALS, ET AL. G.R. No. L-23060 June 30, 1967 - BEATRIZ PATERNO, ET AL. v. JACOBA T. PATERNO, ET AL. G.R. No. L-23307 June 30, 1967 - DAMASO P. PEREZ, ET AL. v. MONETARY BOARD, ET AL. G.R. No. L-25922 June 30, 1967 - ANTONIO T. ESPERAT v. DAVID P. AVILA, ET AL. G.R. No. L-25952 June 30, 1967 - MARGARITA SALVADOR v. ANDRES STA. MARIA, ET AL. G.R. No. L-26112 June 30, 1967 - REPUBLIC OF THE PHIL., ET AL. v. JAIME DE LOS ANGELES, ET AL. G.R. No. L-27156 June 30, 1967 - ALFREDO B. GRAFIL, ET AL. v. JOSE FELICIANO, ET AL.